By 1976, David Bowie had become a bona fide musical superstar, particularly in his home country of England. Hot on the heels of his hit albums Diamond Dogs and Young Americans, Bowie wanted to try his hand at a film career. For his first film, the 28-year-old chose a project that fit his “Starman” persona perfectly. The Man Who Fell to Earth follows the story of Thomas Jerome Newton, a humanoid alien who comes to earth in search of water to bring back to his home planet. The film has gained a small cult following and is filled with interesting and melancholic visuals. Eventually winning a Saturn Award for his work in the film, Bowie delivers a subtle, nuanced performance despite the fact that he was, in his words: “stoned out of his mind from beginning to end.” Regardless of his intoxication, Bowie was able to emulate his entire persona through this strange space alien character. Moving into the 1980’s, Bowie had shifted into a power pop phase, releasing monster hits such as “Let’s Dance” and “China Girl.” Still, though, he was looking to expand his film career, this time choosing a Tony Scott-directed horror film. 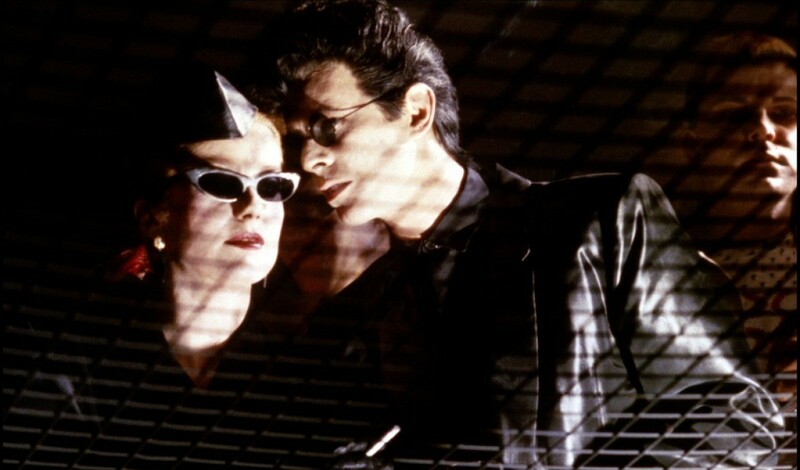 The Hunger is often criticized for its lack of plot and character development, focusing too much on atmosphere and visuals. The film focuses its attention on the sexual and personal desires of the characters, making comments about the differences between men and women. Again, this theme is reflected in Bowie’s musical career, citing his “Ziggy Stardust” as an androgynous alien. His performance is a decent portrayal of a man struggling with a supernatural affliction, however, it doesn’t stand out as one of his best performances. In the summer of 1983, Jim Henson, the puppet master behind the famous Muppets series, was in preproduction for his second feature film, Labyrinth. Now considered a cult classic, the film is a visually stunning musical fantasy. The story follows a young girl (Jennifer Connelly) who must rescue her younger brother from Jareth, the evil Goblin King (Bowie). Originally planning to use puppetry to portray the film’s antagonist, the director eventually decided that some “flesh and bone” was necessary to oppose Jennifer Connolly’s hero character. When casting the role, Henson decided on using a musician to fill the role, claiming the role required a larger than life figure. In hindsight, it would appear that David Bowie was born to play Jareth the Goblin King—seemingly mirroring one of the musician’s famous alter egos in his eccentric fashion and persona. 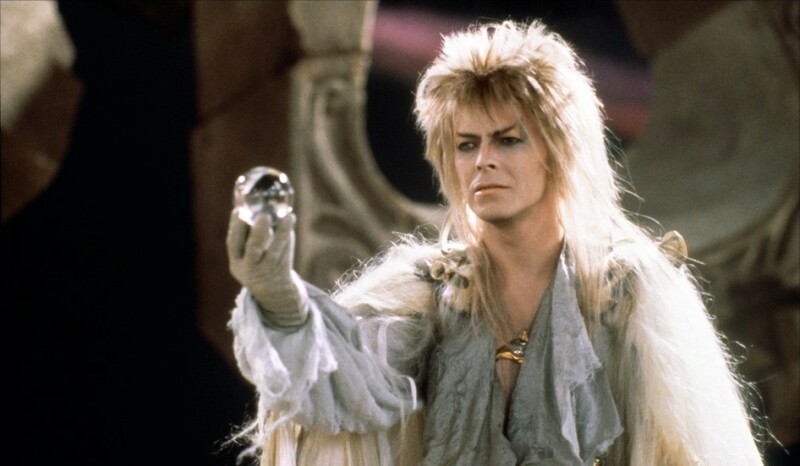 Adorned with a wild haircut and a crystal ball, Bowie sings and dances his way through a performance that was sure to scare any young Henson fan. Before director Christopher Nolan blew up on the mainstream film scene with his beloved superhero flick, The Dark Knight in 2008, he had been consistently churning out dark and innovative thrillers since his directorial debut in 1998. The Prestige, a somewhat forgotten film in his catalogue, focuses on a deadly feud between two turn of the century magicians. 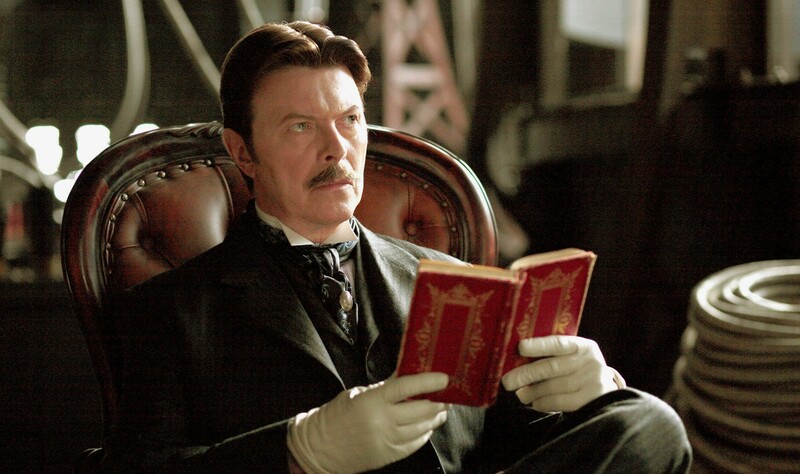 Enter Nikola Tesla (Bowie), a secluded scientist, who with great class and sophistication catalyzes the turning point of the film. Again, the character emulated Bowie’s persona at the time. Moving away from his 1980’s “Thin White Duke” phase, the rockstar had transitioned into a more elegant and subtle stage persona with his 2003 album, Reality. Once again, the “Picasso of Rock and Roll”, demonstrated a chameleonic approach to both his film and music career.